Girls from all over the country have been seeking out Linh for the past 25 years to help them design and make their dream wedding gown. Linh is a master tailor with advanced technical skills that matches her love driven artistic eye that together help produce unique and beautifully made wedding gowns. Now we have here at Linh’s Bridal an exquisite collection of dresses designed by Linh for every brides desire. This collection is called the “Romance” collection and all of the dresses are customizable to the bride. Love a strapless dress but want sleeves? No problem. Love a dress but want to change the neckline? No problem. Now brides can have the wedding gown of their dreams without having to compromise a single detail. We carry our Romance collection dresses from size 6 to 24 in-stock for our future brides to try on. This also allows for our “need sooner” brides to have a great selection of dresses that can be purchased “off the rack” and altered in just a few weeks. Once your dream wedding gown is found, you can stay right here for the bridesmaids. We have been a part of The Dessy Collection family of designers for over 20 years and now ordering is easier than ever. If you have girls that are spread out all over the country then this will make everything a lot easier! 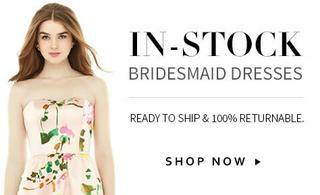 Let us help you in choosing the right style and color to further your vision of your wedding with over 200 bridesmaids dresses in a huge variety of colors and just starting at $139.00. The men need to look their best too, so you can stay right here at Black Tie Formalwear for the best selection in tuxedos, suits and tie colors. We will help put together the perfect look for your guys and for a price well below what you would pay the at the big box stores. Click here for our current promotions. We hope you will include Linh's Bridal in your gown shopping experience. Linh works one-on-one with all of our brides so it is important to book an appointment with us. Calling is the best and quickest way to guarantee a time that works best for your schedule or click on the Request an Appointment button at the top of this page and will we confirm your request as quickly as possible.